A Person Is Holding A Smart Phone Isolated With A Map Of The Earth And Various Apps Coming Out Of The Phone. Use It For A Communication Concept. Foto Royalty Free, Gravuras, Imagens E Banco De Fotografias. Image 22477624. 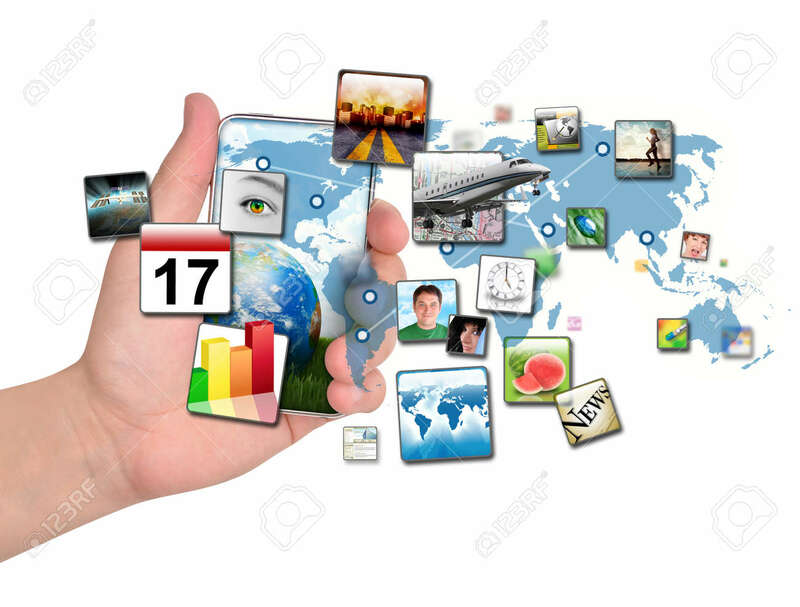 Banco de Imagens - A person is holding a smart phone isolated with a map of the Earth and various apps coming out of the phone. Use it for a communication concept. A person is holding a smart phone isolated with a map of the Earth and various apps coming out of the phone. Use it for a communication concept.